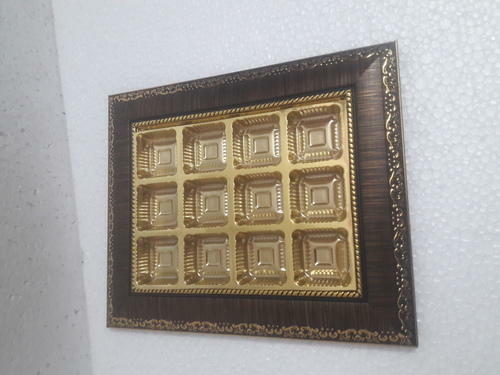 With prosperous industry practice, we are known to offer 12 Partition Chocolate Packaging Trays. It is made by experts using the advanced technology. Established in the year 2010, KH Creations are a leading Manufacturer of Dry Fruits Trays, Photo Frames, Hamper Basket and much more. These products are extensively appreciated for features such as impeccable finish, elegant designs, eye catching appearances and high quality standards. We offer our product range in various colors, designs, patterns and can be customized as per the precise requirements of clients at affordable prices.